Malware is any software that disguises as a decent program with a malicious intent on the computer. Before we discuss malware description further. Let’s find out where and how malware originated. The idea of malware was introduced back in 1949. John Von Neumann proposed the Theory of Self-Reproducing Automata. The term “malware” didn’t exist yet. Also, malware description was yet to be established. But the idea that organisms could self-replicate was already formed. In 1970, Robert H. Thomas created an experimental program that would prove the idea of self-replication. The program was called Creeper. It had no harmful intent, it was just designed to see if a computer program could self-reproduce. When Creeper was first run on the computer, it self-replicated without causing any damage, while moving from one computer to another. It left a message, “I'M THE CREEPER : CATCH ME IF YOU CAN.” Creeper caused nothing more an annoyance. Later, BBN created Reaper, the first antivirus software, to delete Creeper from the computer. In the early 1980s, real computer viruses capable of damaging the computer started to appear. In 1990, a computer scientist, Yisrael Radai first used the term malware to refer to any program that could potentially damage any computer. Malware is harmful to the computer because it has the ability to destroy the computer data and crash the operating system. When malware enters the computer, it attaches itself to a program that gets destroyed later on. Some malware are unable to self-replicate, but they give hackers access to the computer without the user’s awareness, making them dangerous. Once the computer is hacked, the hacker can use the computer any way he wants. He can steal passwords, files, and personal information. He can even use the computer to commit cybercrime without the user knowing it. Just as the malware description implies, indeed malware is a serious threat on the computer. Malware attack has been a problem on the Internet. Anyone that uses the Internet is susceptible to malware attack. So what are the common types of malware that are lurking on the Internet? Trojan is one of the most dangerous types of malware. Well, because it has the ability to create a backdoor that gives a hacker full control over the computer. Trojan often comes with another type of malware that is used to obscure its activities on the computer. It pretends to be a genuine program to trick its victim into installing it. Sometimes it disguises as a flash player on Chrome and other search engines. If Trojan creates a backdoor access, Rootkit conceals Trojan and other malware activities. Rootkit is difficult to detect because it resides in the Kernel (central component) of the operating system. 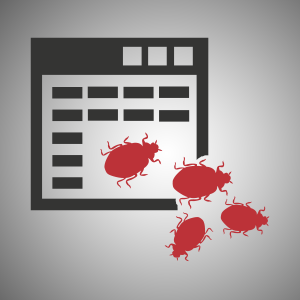 When malware is built in the operating system, it can be very difficult to remove. Keylogger malware description is a program that has the ability to track and record the keys typed on the keyboard. Often our password is concealed, but Keylogger exposes it. This malware is also difficult to detect because it functions without causing any glitch to the computer. The term spyware originated from the word spy. It monitors the user’s activities by turning on the webcam, and microphone. It is often used to collect valuable credentials to steal money or demand a ransom. BOT malware description is a self-replicating malware that can infect a host computer. Once BOT infiltrates the computer, it turns it into a zombie computer that is remotely accessed through a main console for delivering cyber crimes. A worm is a type of malware that reproduces itself independently throughout the computer. It overloads the computer memory leaving insufficient space for the legitimate programs to function properly. A virus is also a type of malware that can self-reproduce. Unlike a worm, it cannot run without the help of a human. The user must execute the file before a virus gets activated. Once installed, it attaches itself to different programs in the computer and destroys data. Now that we have a better understanding of malware. Click here to find out the warning signs of an infected computer.